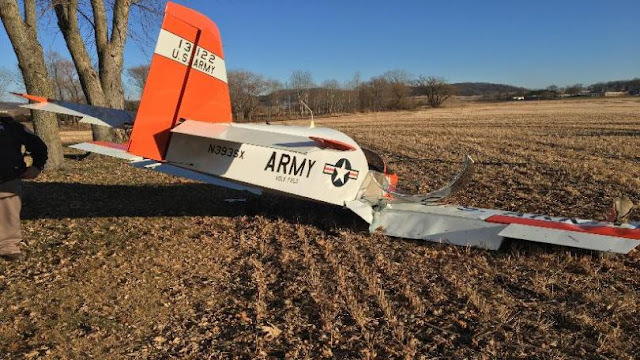 On December 15, 2018, about 1420 central standard time, an amateur-built Sonex airplane, N393SX, collided with a tree and terrain while on final approach to Lodi Lakeland Airport (9WN5), near Lodi, Wisconsin. 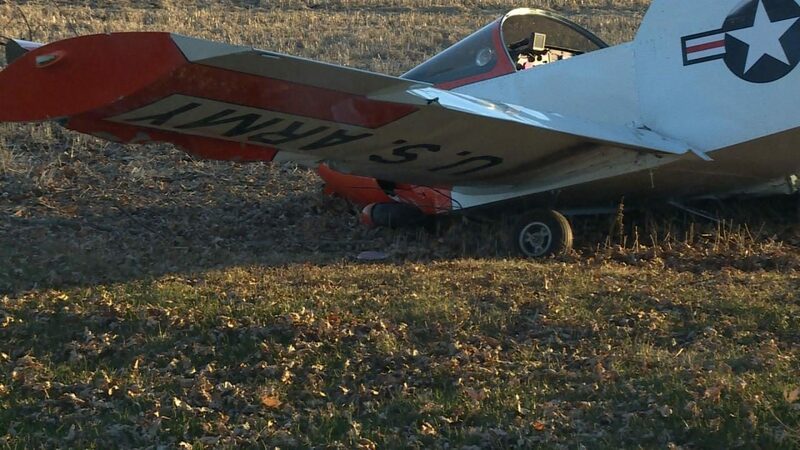 The sport pilot sustained serious injuries, and the airplane was substantially damaged. The airplane was owned by the pilot and operated under Title 14 Code of Federal Regulations (CFR) Part 91 as a personal flight without a flight plan. Day visual meteorological conditions prevailed for the local flight that departed 9WN5 about 1340. The pilot reported that he entered the left downwind leg for runway 9 with the intention to make a full-stop landing. He stated that his turn from the downwind leg to base leg was uneventful; however, the airplane's airspeed had increased slightly during the base leg. The pilot reported that he turned onto final approach about ½ mile from the end of the runway at 1,600 ft mean sea level (about 750 ft above the ground) and reduced airspeed to about 63 mph. The pilot stated that while he focused on establishing his reference landing airspeed the airplane drifted north of the extended runway centerline and the airplane's left wingtip collided with a treetop about 50-60 ft above the ground. The airplane subsequently spun around the tree and descended nose-down into the ground. The pilot stated that the airplane did not bounce upon impact with the ground. The pilot reported that there were no preimpact mechanical malfunctions with the airplane that would have precluded normal flight. The pilot stated that he was fixated with maintaining proper airspeed during final approach, which allowed the airplane to drift north of the final approach course and into the tree. During a local flight, the pilot of an experimental amateur-built airplane had a partial engine power loss. He said that the engine sounded different but remained running. He turned the airplane back to the airport and noted he was high and fast. He indicated that he bled off airspeed, as he wanted to avoid buildings before landing. He subsequently reduced power and performed a landing with calm wind present. The airplane's nose and left main landing gear collapsed after touchdown, the airplane skidded to the north side of the runway, and exited the runway into a ditch where it sustained the substantial damage. The airplane was powered by an engine that the pilot/builder assembled from a kit. The airplane accumulated 25 hours of flight time at the time of the accident. The kit manufacturer engine assembly and installation manual had specific rocker shaft instructions that included procedures on how to adjust and install rocker arms. An examination revealed that the threaded shaft of a rocker arm swivel pad had separated at a point on the shaft where there was a cross drilled hole. The remaining rocker arms did not exhibit the appearance of arm adjustment in accordance with the kit manufacturer's assembly manual. Detailed examination of the failed valve adjuster showed it separated into two portions approximately mid length in the shank area between the two threaded areas. This location was coincident with a hole drilled crosswise through the shank of the valve adjuster. The fracture surfaces exhibited crack arrest patterns consistent with a fatigue fracture. The origin of the fatigue fracture appears to be coincident with the edge of the cross-drilled hole. Examination of the exemplar valve adjuster and specifically the cross-drilled hole revealed a roughly finished surface with a pronounced burr around the circumference of the hole. A professional materials engineering publication, in part, stated, "The fatigue strength of components can be reduced merely by the presence of a drilled hole; it is further reduced by failure to remove burrs (incurred during drilling) from the hole edges. Fractures originating at drilled holes are common in complex parts containing internal, intersecting machined passages because of the difficulty and expense of providing adequate break-edge radii at such locations. It could not be determined if the failure of the rocker arm was due to the misassembly of the rocker arm assembly and/or the toolmarks left by the manufacturing process. The separated rocker arm assembly for undetermined reasons, which resulted in the partial loss of engine power and led to the landing gear collapsing during the subsequent forced landing. On July 18, 2016, about 1915 central daylight time, a Brandt Sonex experimental amateur-built airplane, N393SX, impacted a ditch when it exited runway 9 (1,875 feet by 105 feet, turf) at the Lodi Lakeland Airport (9WN5), near Lodi, Wisconsin, during a forced landing following a partial loss of engine power. The sport pilot was uninjured. The airplane fuselage was substantially damaged during the impact with the ditch. The airplane was registered to and operated by the pilot under the provisions of 14 Code of Federal Regulations Part 91 as a personal flight. Day visual meteorological conditions prevailed for the flight, which operated without a flight plan. The local flight originated from 9WN5 at time unknown. The pilot reported a partial loss of engine power, which occurred northwest of 9WN5. He said that the engine sounded different but remained running. He turned the airplane back to the airport and noted he was high and fast. He indicated that he bled off airspeed, as he wanted to avoid buildings before landing. He subsequently reduced power and performed a landing. The airplane's nose and left main landing gear collapsed after touchdown, the airplane skidded to the north side of the runway, and exited the runway into a ditch where it sustained the substantial damage. The pilot, age 71, held a Federal Aviation Administration (FAA) sport pilot certificate and he reported that he accumulated 180 hours of total flight time. N393SX was a low-wing, fixed tricycle gear, 2-seat, experimental amateur-built airplane with serial number 393. It was powered by a 70-horsepower AeroVee engine driving a fixed pitch Sensenich propeller. The pilot reported that the airplane had a condition inspection completed on December 4, 2015, and that the airplane accumulated 25 hours of flight time at the time of the accident. The airplane and engine were sold as kits that the owner assembled. The kit manufacturer engine assembly and installation manual had specific rocker shaft instructions that included procedures on how to adjust and install rocker arms. At 1953, the recorded weather at the Dane County Regional Airport-Truax Field, near Madison, Wisconsin, was: Wind calm; visibility 10 statute miles; sky condition few clouds at 5,500 feet; temperature 27 degrees C; dew point 17 degrees C; altimeter 30.15 inches of mercury. An FAA inspector examined the wreckage and observed that the threaded shaft of a rocker arm swivel pad on the rocker arm assembly had separated at a point on the shaft where there was a cross drilled hole. The accident engine's remaining rocker arm assemblies did not exhibit the appearance of arm assembly adjustment in accordance with the adjustment directions in the kit manufacturer's assembly manual. The separated rocker arm swivel pad and an exemplar pad from the accident engine were shipped to the National Transportation Safety Board (NTSB) Materials Laboratory for detailed examination. An NTSB Materials Laboratory Engineer examined the items and produced Materials Laboratory Factual Report No. 16-101, which is appended to the docket material associated with this investigation. The report, in part, indicated the failed valve adjuster separated into two portions approximately mid length in the shank area between the two threaded areas. This location was coincident with a hole drilled crosswise through the shank of the valve adjuster. The fracture surfaces exhibited crack arrest patterns consistent with a fatigue fracture. The origin of the fatigue fracture appears to be coincident with the edge of the cross-drilled hole. The ball bearing on the end of the valve adjuster had seized in place and could not be rotated. A measurement of the hardness on a section of the fractured valve adjuster revealed a hardness of 20.2 on the Rockwell C scale. Examination of the exemplar valve adjuster and specifically the cross-drilled hole revealed a roughly finished surface with a pronounced burr around the circumference of the hole. adequate break-edge radii at such locations.